A generation ago, real estate brokers probably didn’t drift off to sleep each night dreaming that someday they would be able to work with buyers and sellers in half a dozen different legal relationships. For most of the last century, the legal relationships between brokers and their clients were simple: Listing brokers represented sellers, and agents who worked with buyers did so as “subagents” of the listing broker. All of the agents involved in a transaction owed their allegiance to the seller, and buyers were unrepresented. One reason agency relationships are so complex is the brokerage industry’s determination to preserve a cooperative system that allows listing brokers to collect a commission from one party — the seller — and either keep the entire fee or split it with another broker. The concept of subagency helped the National Association of Realtors, and its state and local Realtor associations, establish the multiple listing service as the dominant method of marketing properties, limiting the legal liability of their members, and shielding Realtor associations and MLSs from antitrust claims. Realtors took on the rights and obligations associated with representing sellers in agency relationships a century ago as a cornerstone of this cooperative MLS system. Serving sellers as fiduciaries, it was hoped, would strengthen brokers’ right to collect commissions, and “professionalize” the industry. Under the “open listing” business model — still common in many international markets — sellers were free to work with as many brokerages as they saw fit. In the end, only the broker who could bring a buyer to a sale earned a commission. Brokers were reluctant to market properties or cooperate with each other, fearing that a competing broker might take a buyer straight to the seller. Sellers, too, could deal directly with buyers, cutting brokers out of a commission. One way brokers could ensure they wouldn’t be cut out of a deal was to take an option on a property, in the hopes of selling it at a profit. In these and other situations, brokers were often looking out for their own interests. The solution put forward by NAR’s predecessor, the National Association of Real Estate Exchanges (NAREE), was to make real estate brokerage a profession. The duties that real estate brokers owed to their clients, and to each other, would be spelled out in state licensing laws and a national code of ethics. Like lawyers, accountants and architects, real estate brokers would serve their clients in an agency relationship, acting in their best interests and owing them fiduciary duties such as loyalty, obedience and good faith. “The founding fathers of NAR observed that every other business that aspired to be recognized as a profession involved a ‘fiduciary relationship’ defined by — or even going beyond — that defined by the law of agency,” North recalled. In exchange for taking on these legal obligations, listing brokers would insist on working for sellers on an exclusive basis, collecting a commission regardless of who was responsible for bringing a buyer to a sale. Real estate boards began collecting and distributing listings information in the early 1900s — the term “multiple listing” was coined in 1907. Not long after it was formed in 1908, NAREE endorsed universal adoption of exclusive agency and mandatory cooperation between brokers. According to a 1983 Federal Trade Commission report, “The Residential Real Estate Brokerage Industry,” MLSs developed rapidly in the 1920s, taking on increasing importance after World War II. By 1977, 93 percent of real estate firms belonged to at least one MLS. Because most MLSs were run by Realtor associations, NAR and its state and local associations grew their membership rolls as the system spread (NAREE became the National Association of Real Estate Boards, or NAREB, in 1916, and the National Association of Realtors in 1972). Once an MLS reached critical mass in a particular market, brokers might find their business drying up if they didn’t join. Realtors — the term was coined in 1916 — defended their right to limit offers of compensation to fellow members, saying only those who had pledged to follow the Realtor Code of Ethics were qualified to act as subagents. By 1979, NAR listed 931 Realtor-affiliated MLSs and 55 independent MLSs. Even among independent MLSs, 35 percent required Realtor membership. The MLS was not only a more efficient way to publicize listings, it was also a potentially more profitable system for brokers than the old “open listing” model. According to the FTC, Realtor associations published mandatory and later “suggested” commission fee schedules until the practice was challenged by regulators in the early 1970s. According to North, the ability to represent sellers on an exclusive basis and offer compensation to cooperating brokers acting as subagents was the foundation upon which the MLS system was built. As a rule, MLSs required that offers of compensation be contingent on the cooperating broker acting as a subagent of the listing broker, rather than an agent of the buyer. Subagency allowed cooperating brokers who worked with buyers to collect a share of the commissions paid by sellers without actually representing buyers in an agency capacity. If buyers were unrepresented, brokers owed them no fiduciary duties, making it more difficult for buyers to prevail in lawsuits against Realtors or in complaints with real estate boards over alleged ethics or license violations. Subagency also meant listing brokers, cooperating brokers and their agents could work with both buyers and sellers with little fear that they would be accused of acting as undisclosed dual agents. Realtors were free go about their business, “dealing with both parties without much concern about the technical legal requirements of agency law and fiduciary relationships,” the 1983 FTC report noted. But consumer advocates and regulators questioned the fairness of subagency, which was largely based on custom and MLS and Realtor association rules. The only laws in place governing agency issues were general, state-level statutes and common law precedent. The brokerage industry’s longstanding position that buyers were unrepresented, and were owed little more than fair and honest disclosures, was based largely on NAR’s own legal interpretations. When brokers and their agents were sued by buyers, they couldn’t point to any laws in their defense that specifically addressed agency relationships in real estate, or defining how brokers and agents could work with buyers as subagents. In the 1980s, courts began finding that brokers could inadvertently create agency relationships with buyers simply by advising them during negotiations, or providing other services that might lead buyers to believe they were being represented. If brokers or their agents owed buyers fiduciary duties, that meant brokers were liable to claims of undisclosed dual agency. Sellers might have “vicarious liability” for the actions of subagents working on their behalf. Buyers could file professional negligence claims. Subagency had worked so well, and for so long, that the brokerage industry’s first response to the new threat was to defend the practice. The legal liability associated with subagency represented a threat to mandatory cooperation between brokers and the MLS itself. Subagency had not only protected brokers from claims of undisclosed dual agency, it had also provided Realtor associations and MLSs with an antitrust defense. For years, MLSs had successfully argued that they could require members to be Realtors, because only brokers who had pledged to follow the Realtor code of ethics could be entrusted with automatic offers of compensation as subagents of the listing broker. First, it would educate brokers and agents about the potential for creating accidental agency relationships with buyers, and coach them on how to avoid such situations. Second, the industry would push for mandatory agency disclosures in every state. If buyers had been told they were not represented, they couldn’t file lawsuits claiming otherwise, the thinking went. But the lawsuits didn’t stop when disclosures became mandatory. And studies suggest disclosures heightened buyers’ awareness that they were unrepresented, fueling demand for buyer’s agents and brokers. If brokers were to continue to cooperate, pooling their listings and splitting commissions, they needed new ways to work with both buyers and sellers that would better protect them from lawsuits. Some brokers advocated dropping the concept of agency representation altogether, allowing them to provide services to buyers and sellers alike as non-agency “transaction brokers” owing no fiduciary duties to clients. In a 1993 defense of subagency, former NAR legal counsel William North predicted that if brokers abandoned the concept of agency, the entire system of mandatory cooperation would be jeopardized. “The NAR code of ethics … is premised on the assumption that there exists an agency relationship between broker and seller or buyer,” North wrote. “Absent such relationship, a substantial majority of the obligations imposed by the code can have no meaning or legitimacy, since the obligations … they impose on the Realtor are necessarily reciprocal to, and arise from, the rights the Realtor enjoys as an agent. The report instead recommended that Realtor associations lobby for state laws defining real estate brokers’ agency relationships with clients, including provisions allowing disclosed dual agency and designated agency, rather than leaving those issues to be decided by general statutes and common law precedents. Any new law “specifically should state that it abrogates the common law as applied to real estate brokerage relationships,” the report said. NAR’s board of directors adopted the report’s recommendations, and dropped a requirement in the model rules for Realtor-affiliated MLSs that had required listing brokers to make offers of compensation contingent on cooperating brokers acting as subagents. California had been the first state to codify agency relationships in real estate. The California Association of Realtors didn’t wait for NAR, endorsing legislation that was signed into law in 1988 requiring brokerages to explain agency relationships to consumers and allowing them to choose how they will be represented. California’s law was a direct response to a court ruling that left listing agents exposed to legal claims by disgruntled buyers. In Easton v. Strassburger, the California Court of Appeals upheld a decision against a listing broker who’d been found guilty of negligence because of evidence suggesting the broker’s agents had seen “red flags” of a previous landslide but failed to investigate further or notify the buyer. California Realtors responded by pushing for legislation that would make clear that buyers were not entitled to the same duty of care from listing brokers and their subagents as sellers. Although California’s new law recognized subagency, it also spelled out the ground rules for practicing disclosed dual agency and recognized the concept of buyers agents — positions that were still being debated by NAR leaders at the time. While California Realtors were ahead of the curve in pushing for new laws defining agency relationships in real estate five years before NAR issued its official directive on the topic, the changes they pushed for were essentially in line with the policies later adopted by NAR. But Realtor associations in a number of states, including Colorado and Florida, broke with NAR on transaction brokerage. By 1999, a dozen states had laws on the books allowing real estate licensees to represent clients as transaction brokers or in other non-agency relationships. Since 2008, Florida law has presumed that real estate brokers are acting as transaction brokers, and the state does not require brokers to provide disclosures to consumers unless they are acting as a “single agent” with fiduciary duties to their client. Although NAR has never endorsed the concept, 25 states including Texas, Michigan, Minnesota, Georgia and Pennsylvania, now allow “transaction brokerage” or other non-agency relationships. NAR spokesman Walter Molony said the group’s talking points on the issue were last updated in 2008. At that time, “we did not support the ‘pure non-agency facilitator concept,’ meaning that is the primary kind of relationship a licensee would offer,” he said. NAR’s standards of practice require that members who act as representatives of sellers or as subagents of listing brokers disclose that relationship to buyers “as soon as practicable,” and provide written confirmation no later than the execution of a purchase agreement. Having never endorsed non-agency, NAR has also been careful not to stand in the way of members who want to do business that way, where allowed. In 1996, NAR’s Professional Standards Committee created a non-agency working group, which recommended changes to NAR’s Code of Ethics to ensure that it included NAR members serving clients in non-agency relationships. In other words: If Realtors serving clients in an agency capacity have legal duties that go beyond those owed by transaction brokers, the code of ethics does not alter that situation. States that allow transaction brokerage typically impose some duties on brokers and licensees working under their supervision who choose to represent clients in non-agency relationships. Florida law, for example, stipulates that transaction brokers act “honestly and fairly” in their dealings with clients, accounting for all funds and using “skill, care, and diligence” in the transaction. Finally, Florida transaction brokers owe their clients “limited confidentiality,” which, unless they have a written waiver, includes not disclosing the price the buyer or seller is willing to pay. Florida brokers representing clients as single agents owe them additional fiduciary duties, including loyalty and obedience, for example. Brokers in New York found first listings exchange. First “realty board” formed in San Diego. First state association of real estate brokers formed in California. Term “multiple listing service” (MLS) is coined. NAR’s predecessor, the National Association of Real Estate Exchanges (NAREE), is founded in Chicago. NAREE drafts first code of ethics for brokers. Term “Realtor” is coined. NAREE becomes National Association of Real Estate Boards (NAREB). California Association successfully lobbies lawmakers to adopt first state licensing laws for brokers. Ten U.S. real estate boards are operating MLSs. Two years later, there were more than 120. By 1926, a majority of boards were operating an MLS. Association of State Real Estate Commissioners was formed, works closely with NAREE to coordinate state’s licensing activities. One in every 80 California residents holds a real estate license. 36 states and three Canadian provinces have licensing laws, most based on California’s laws. National survey shows 50 percent of brokerage offices still accepting both exclusive and open listings, which are generally not accepted by the MLS. NAREB publishes “14 points” in response to litigation, including 15 Justice Department consent orders banning price-fixing and other alleged anti-competitive activities. NAREB becomes the National Association of Realtors. 93 percent of brokerage firms belong to one or more MLS. Federal Trade Commission survey finds 52 percent of MLS sales involve agents at two different firms. Most MLSs distribute listings information in books published on a weekly basis. Members of 27 percent of MLSs have the ability to access listings from computer terminals in their offices. California Real Estate Commissioner David Fox reminds licensees in an industry trade publication that listing agents and selling agents owe their allegiance to sellers. 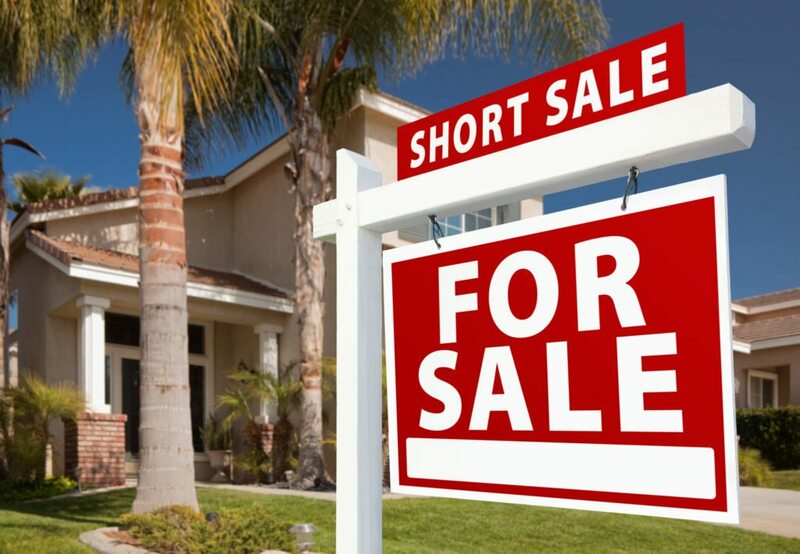 NAR advises Realtor MLSs to stop publishing total commission rate for each listing and “split” offered to cooperating brokers, and to publish only the percentage offered to cooperating broker. California Court of Appeals rules in Easton v. Strassburger that listing brokers have a duty to disclose not only known material facts about a property’s condition to buyers, but those which “should be known” through reasonable diligence. NAR task force recommends that state Realtor associations push for laws requiring mandatory agency disclosures. California becomes first state in the nation to adopt laws defining agency relationships in real estate. NAR amends model rules for Realtor-affiliated MLSs to drop subagency as a mandatory component of offers of compensation to cooperating brokers. NAR code of ethics is updated to create standards of conduct for members working with buyers. NAR board of directors adopts report recommending that Realtors not endorse “pure non-agency” relationships (such as transaction brokerage), but push for legislation allowing disclosed dual agency and designated agency. NAR amends Code of Ethics to include NAR members serving clients in non-agency relationships. Florida’s transaction brokerage statute withstands appeals court challenge. Supreme Court of Florida declines to review (Burchfield v. Realty Executives). Sources: Federal Trade Commission report, “The Residential Real Estate Brokerage Industry,” 1983; and NAR Presidential Advisory Group on Buyer Representation Issues (1999 BRLI PAG).